About Dobbies It's nice to know that in this busy, modern world of "virtual companies" there are also real companies with real history, run by people who really care. Dobbies has been offering expert advice to horticulturalists since 1865. Dobbies - Inspiring Gardeners since 1865 For over 140 years, the Dobbies name has stood for quality horticulture. During this time we've been proud to provide the very best products and expert advice to gardeners throughout the UK. Today Dobbies is one of the the UK's largest Garden Centre retailers We have 25 Stores across Scotland and England and of course we operate 24/7 from Dobbies.com. Naturally, we have one of the biggest and best ranges of quality plants and gardening equipment around. However you don’t have to be an avid gardener to enjoy Dobbies. Because as well as having everything to make your garden grow, we have everything you need to simply relax and enjoy your garden - and much more! If you're a history buff, why not take a walk down memory lane with us and see what we've been up to over the past 140 years? 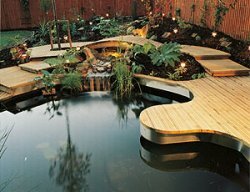 Down to Earth Landscapes was established in early 2004, we are skilled in design and the creation of hard Landscaping patio's, decking, canopies and full garden project design and features. Our skilled and trained landscape operatives will work with you to bring your ideas to reality by mixing the subtle blend of hard landscaping and soft planting schemes. We work in conjunction with both our garden designers and landscapers and have a loyal customer base of which we are very proud.